Many families looking to adopt have found that they simply cannot afford the cost of adoption, and have turned to Adoption Financing Information for assistance. Visit this website for info about adoption loans, adoption grants, and other ways to earn money or finance your adoption. A resource for enhancing the effectiveness of military family policy and programs. Teaches, counsels, mentors, and improves lives of military families worldwide. Life-changing skills and principles that transform the people who change their nations. Available to active-duty Coast Guard, as well as Coast Guard Reservists on active duty for at least 180 days. An association of believers who are committed to evangelizing the United States armed forces and discipling Christians who are in the military. CMF involves all elements of that society including all ranks, family members, and civilian employees. 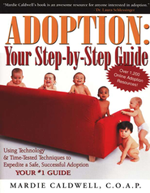 This website contains information that will help you better understand the adoption process and its potential challenges for military families. The National Military Family Association provides support for families adopting. Online resources for items like deployment readiness, family support, transition assistance and MWR.